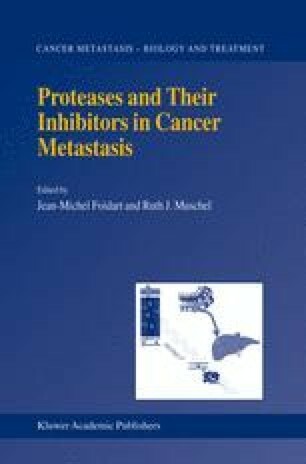 We now have a good knowledge of the trans -acting factors and cis elements involved in the regulation of protease expression in cancer. However, there are still issues which remain unanswered. For example, in many cancers, protease expression is not in the tumor cells but in the surrounding stromal cells. How then can this be explained if a variety of trans acting factors such as AP-1, NF-κB are constitutively active in the cancer cells. Future studies will have to address this question. It may very well be that the chromatin environment and epigenetic factors, such as methylation shown to regulate urokinase expression (Xing and Rabbani, 1999), play a crucial role in the regulation of gene expression and works in concert with the know trans acting factors to exert control of gene expression.